When it comes to small EcoBoost engines, Ford does a pretty good job at squeezing tons of power out of them, but when it comes to the larger EcoBoost engines, Ford leaves a massive amount of performance on the table. This is especially true with the 3.5L EcoBoost found under the hood of the current Raptor. During our testing, we were able to squeeze around 80-100 horsepower and 70+ ft-lbs of torque from the 3.5L EcoBoost, as tested on Project Raptor II. Ee launched our VR Tuned ECU flash for the Raptor recently, and that tune is now getting delivered to early orderers. 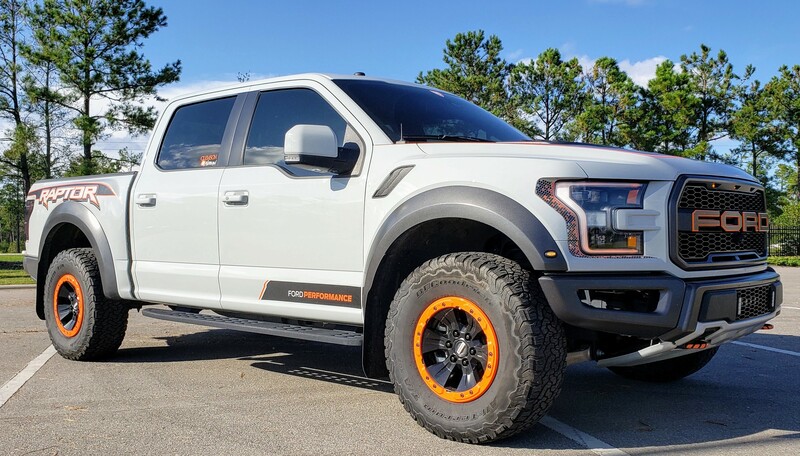 One of our customers, Mike, flashed his Raptor by himself, which is one of the big benefits to our system. Once he was done flashing his Raptor, he took it out for a spin an immediately noticed the huge jump in torque, as it makes the Raptor much more lively when coming off the line. Plus, the improved throttle response makes it even better. Be sure to check out the full customer video and forum post. If you have any questions about the VR Tuned ECU Flash for Ford Raptor EcoBoost, please do not hesitate to contact us. We can be reached by phone at 1.480.966.3040 or via email at sales@vividracing.com. Annual JDM Wheel Sale Reminder: There's Still Time to Save!